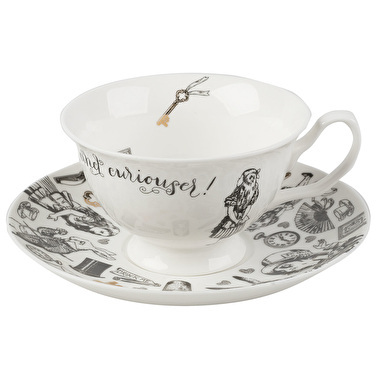 This cup and saucer set is a curious piece for tea! 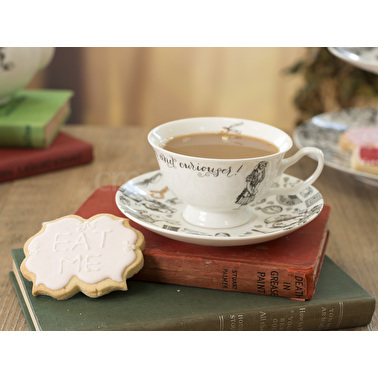 Beautifully made of fine china, the cup and saucer are illustrated with iconic characters and items from the original Alice In Wonderland book. 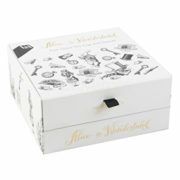 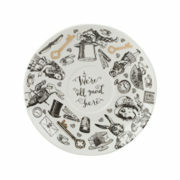 Characters such as the Mad Hatter and Alice appear with pockets watches, top hats, cake stands and golden keys. 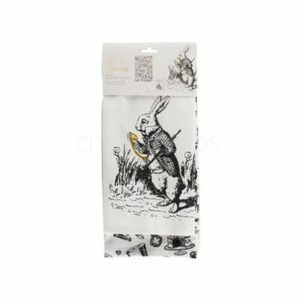 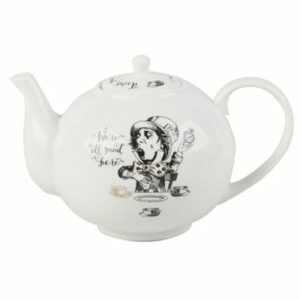 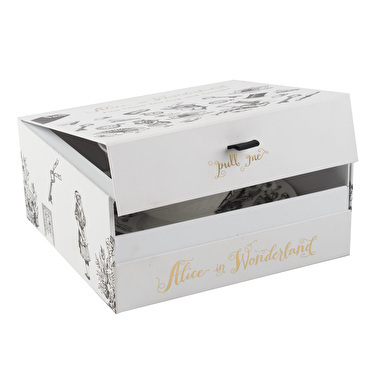 The illustrations are hand-drawn in black and white with a touch of luxury gold decal.The quote ‘Curiouser and curiouser!’ twirls around the dainty cup while the saucer reads ‘We’re All Mad Here’. To discover this fantastical story simply solve the riddle of the puzzle packaging first… this product is hidden within a luxury gift box, so find the ‘Pull Me’ tab of ribbon and see the surprise hiding within! 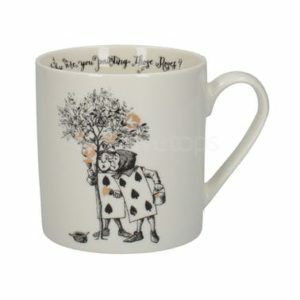 Cup capacity: 210ml. 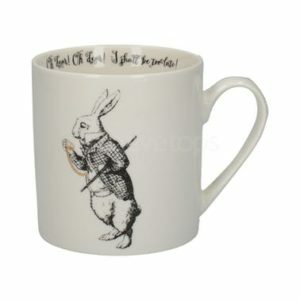 Alice in Wonderland mok, the White Rabbit: oh dear, oh dear, I shall be too late!